We Are Manufacturer of Stainless Steel Roll, SS Rolls Manufacturer, Industrial Rollers, Stainless Steel Sheet Roll, Stainless Steel Roll Stock – Stainless Steel, Stainless Steel Rolling Shutter, Stainless Steel Bending and are widely used where hygiene is a important factor like for packing food products both processed and raw vegetables etc. We offer Stainless Steel Roll dimensionally precise products per client’s requirement and application. It is including other features like Easy installation, Long service life, Long-lasting and more. We produce these rollers in standard sizes and also cater to the needs of customizes S.S. Rollers for the ease of our customers. We can alter the shape, size, and designs of these rollers. We offer to our client’s superior range of stainless steel rollers, M S Roller (Mild Steel) that are known for their efficient performance and resistance against corrosion. These stainless products are used in the manufacturing of different machines and many other things. High demand of our superior quality sturdy stainless steel shims has made us popular among the customers throughout the world. We produce these rollers in standard sizes and also cater to the needs of customizes S.S. Rollers for the ease of our customers. 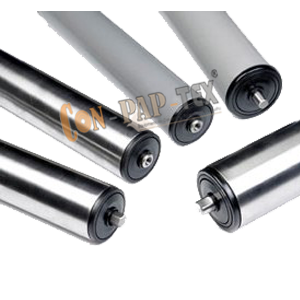 We can alter the shape, size and designs of these rollers. Our high grade steel and various steel alloys allow us to provide the best metallic properties for your specific end product.